Verizon announced all kinds of new 4G LTE devices at CES this week, but one thing that remained absent from almost all of those announcements were release dates. 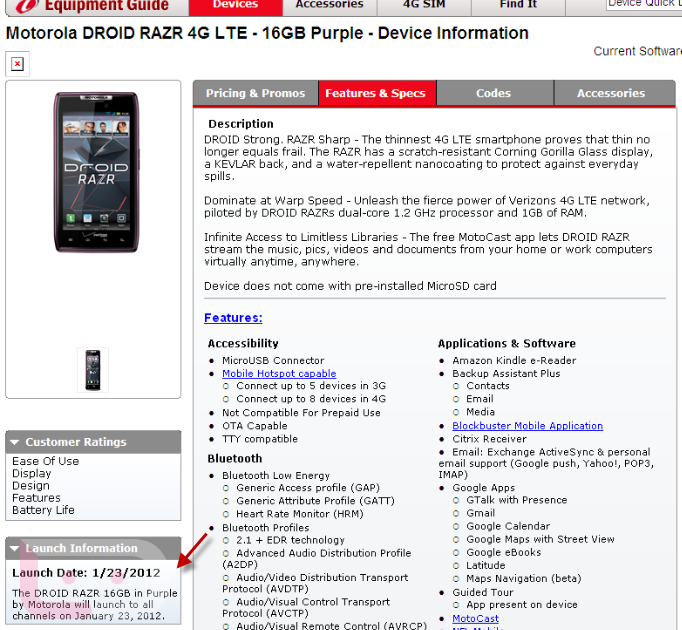 Scratch the purple DROID RAZR off of that list, as we have just learned that Big Red has targeted January 23 for the “all channel” launch. The only question now is,will we see the RAZR MAXX and DROID 4 on that date as well? The black and white versions of the RAZR at just 16GB are also hitting shelves on the 23. We have some glamour shots of the purple RAZR here.